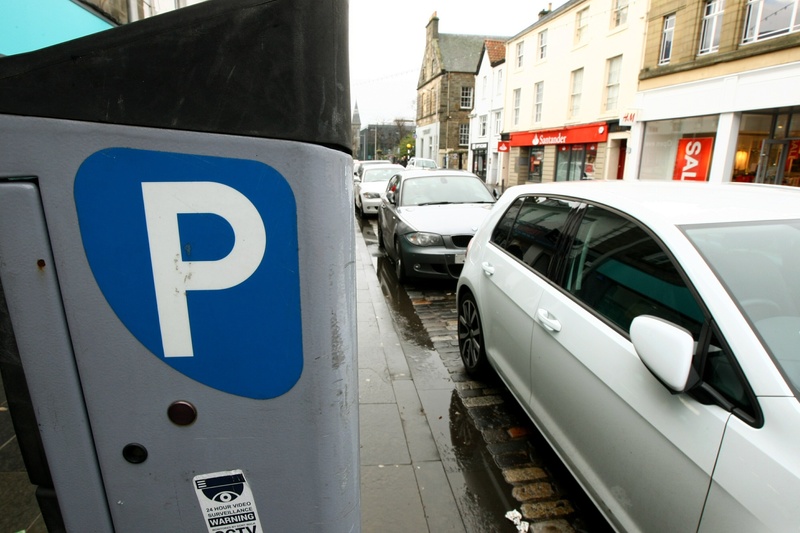 The introduction of fees for parking in Fife’s town centres on Sundays two years ago has been criticised by traders and motorists and Dunfermline South councillor James Calder won cross-party from Fife Council for his call for the power to be granted sooner rather than later. Councillors on each of Fife’s six area committees will be able to determine levies in their area. In September 2017, the council confirmed it was reviewing parking charges, including those on a Sunday. Last month, £100,000 was allocated in the council’s budget to decentralisation of control over local parking to area committees. Liberal Democrat councillor Mr Calder said work must be accelerated to support traders and the local economy. Parking is subject to charges after 1pm on Sundays in Dunfermline, Kirkcaldy and St Andrews. Mr Calder said: “It raises a limited amount of money for the council. “Anecdotally I’m told by some businesses that after 1pm, when parking charges start on a Sunday, footfall falls dramatically. “Retail is struggling across the UK and Fife is no exception. We must give local areas the power to help retail in their area. Dunfermline’s business improvement district company, Dunfermline Delivers has campaigned against the unpopular levy. It has begun a survey of local businesses to determine the impact and the result will be presented to Fife Council. Dunfermline area committee has already requested a report on how a change to parking charges would affect the town. Figures obtained by The Courier in 2017 showed almost that almost £42,000 had been collected in fines in six months from drivers who had parked illegally on Sundays.